Until 7 March, Paris’s Musée de L’Homme is hosting “Destiny of the Dolgans”, an exhibition on the little-known Dolgan people photographed by Nicolas Mingasson. The exhibition’s 70 prints depict the way of life of this tribe from the northern peninsula of Taymyr in Siberia. 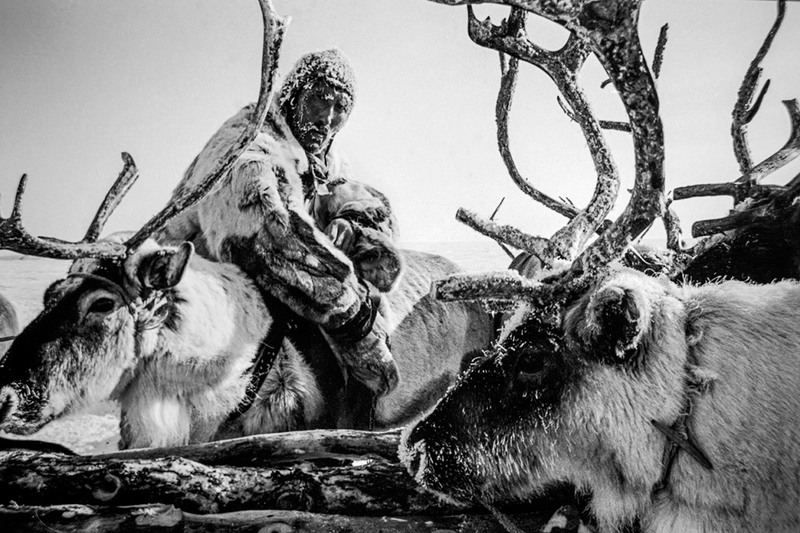 The Dolgans are reindeer herders and one of the most isolated populations in the Russian Arctic. Although many of them have long been sedentary, a few families still live a nomadic lifestyle, following their herds’ seasonal movements.